Cosmetics & Toiletries magazine has been a highly respected and valuable resource for chemists, research scientists and R&D managers for more than 100 years. This peer reviewed scientific publication provides expert information on new technologies, ingredients, international regulations and industry news and analysis to help you do your job better. 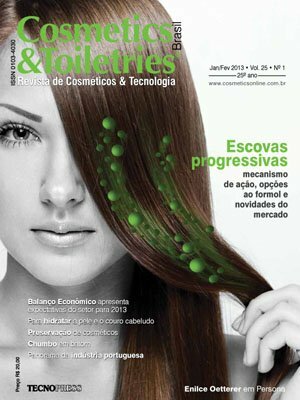 Published in Portuguese, Cosmetics & Toiletries® Brasil is the primary cosmetic magazine in the region with editorial content developed by local professionals who know the reader's needs first-hand. Distribution at key events throughout Brazil extends brand-building efforts to key buyers at major industry functions throughout the region—the Brazilian SCC Congress, Racine Week, FCE-Cosmetiqué and the Brazilian SCC Annual Dinner.